Soulful Skincare is a revolutionary approach to skincare - from the soul to the body. 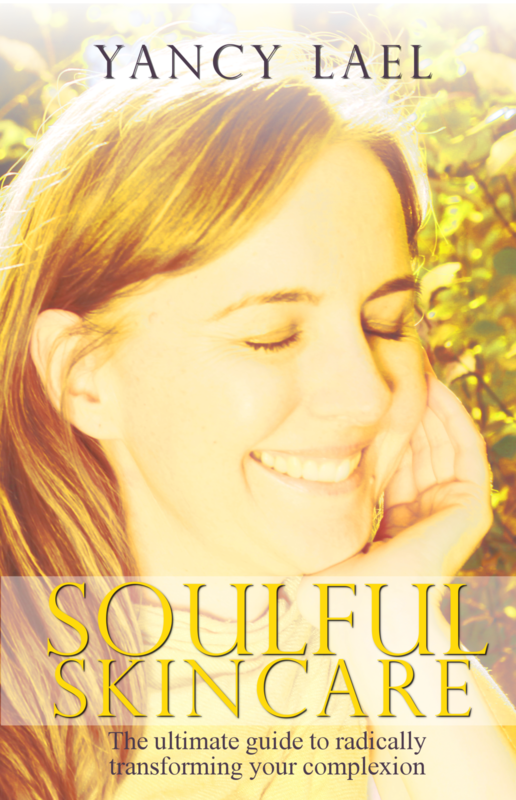 Soulful Skincare tackles not just skincare problems, but self-image, as well, with a compassionate, loving approach. This is how you'd hear it from your mom or best friend. You'll embark upon some major soul searching, set out on the journey of radical self-acceptance, clean up your diet, bust some major skincare myths and learn practical, simple ways to build a skincare routine that is right for you. In this world of unrelenting cosmetic advertisements, manipulative misinformation, inflammation-promoting diets, toxic skincare products and a refusal to accept the many faces of female beauty, Soulful Skincare will walk beside you, leading you step-by-step through the journey of healing your body, discovering your true beauty and creating the glow that goes way beyond your complexion. ::Finding a sense of balance and flexibility within your diet that keeps you healthy while avoiding the perfectionism trap. ::Becoming a savvy consumer who is no longer prey to the misinformation pumped out by the cosmetic industry. You'll be free from the manipulation of fear-based marketing strategies. ::Impressing your friends with how many methods you know for healing the skin using only items found in a typical kitchen. You'll be like the MacGyver of skincare, baby. ::Getting real about the dangerous chemicals in traditional skincare products and learning how replace them with cheaper, simpler, more natural products. :: Daring to step out of the box and try new skincare methods, challenge skincare myths and turn your mental paradigm upside-down. ::Developing a deep and abiding trust in your body and the ability to hear - and act upon - your intuitive guidance. ::Taking control of your own story and removing the barriers that prevent you from seeing that you already are the person you always wanted to be. ::Partnering up with the Divine to build an unshakable sense of self-love and the most radical self-acceptance you've ever experienced. ::Contributing to the world around you by simply uncovering the glow that is already within you. ::16 simple but profound spiritual exercises to help you clear your energy, dismantle your negative thought patterns and build a deep and genuine feeling of self-love. ::A detailed exploration of potential sources of inflammation in today's typical diet. ::7 cheap, simple, natural skin cleansing methods . If you think that skincare cleansers made in a lab are the only road to clear, healthy skin - think again! ::A detailed look at moisturizers (and recipes to make your own!). ::The truth about cleansing, toning and moisturizing - all the things the cosmetic industry doesn't want you to know. ::The miracle of medicinal teas, including a detailed list of herbs that help keep your skin glowing. You'll learn how to shop for teas that will get you the results you want and get step-by-step directions for blending and brewing your own teas. ::The straight story on makeup, from foundation to haircare products. What you need, what you should avoid and what's a waste of your money. ::12 all-natural spot treatments for pimples that you can find right in your kitchen. ::A profile of 19 oils that nourish and protect the skin. ::Tips for adapting your skincare routine to your body's changing needs. ::Techniques and tools that will help you support your body's natural state of health from meditation to a little self-pampering. ::Straight talk about essential oils - why they are great options for improving your skin's health and why you need to take them seriously. ::Recipes to get your started on your journey - from basic moisturizing balms to healing tea blends. ::My own deeply personal story about my 20-year battle with my skin, and how I found my way to glowing health.